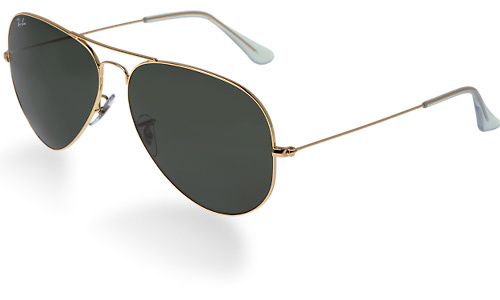 Classic aviator styling meets dependable Ray-Ban substance. A shiny gold metal frame with double nose bridge and green glass lenses block 100% of harmful UV rays. With a look like this, you won't want to take them off.